Dry needling is a technique to treat myofascial pain and muscle trigger points. A trigger point is a tense band of muscle and can be tender to touch or refer pain to other areas. A physical therapist will use a thin filiform needle to penetrates the skin and stimulate the trigger points and release muscular and connective tissues. 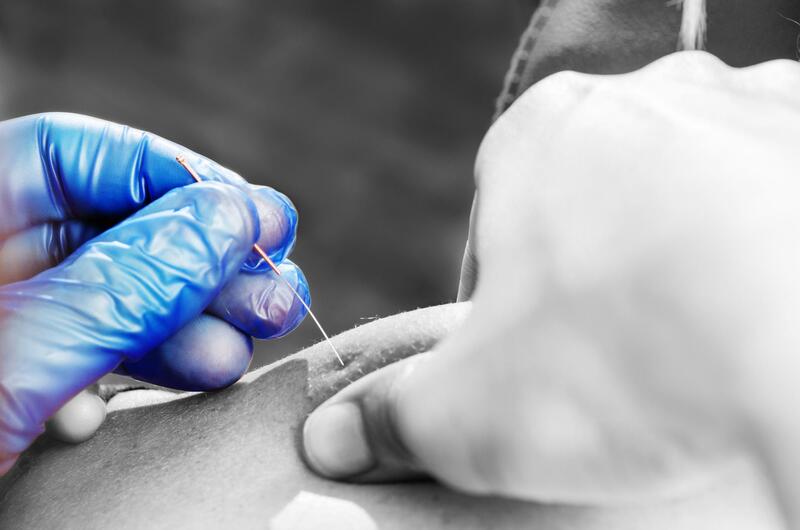 Our physical therapists use dry needling as one component of a comprehensive treatment plan. By releasing or deactivating trigger points through dry needling, they can alleviate pain, improve range of motion, and normalize muscle function, allowing you to return to activity faster. While your physical therapist care typically is eligible for coverage by insurance, dry needling techniques do incur a small additional out-of-pocket charge as it is not directly covered by most insurance plans. Please call (773) 665-9950 for more information.